I sometimes take a detour from writing about the James Bond books and write about something else. 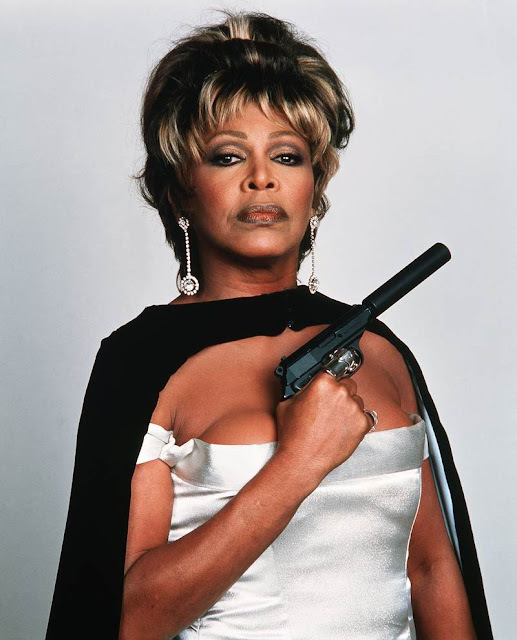 Tonight is one of these nights and this blog post is dedicated to the song GoldenEye preformed by Tina Turner in the 1995 James Bond film with the same title. After a six year absence James Bond would be back in 1995 with the first Bond film staring the new actor to portray James Bond. His name was Pierce Brosnan. Most of us know the story about Brosnan being offered the role back in 1986. But due to a contract with Remington Steele could not accept the offer back then. So when the film and its soundtrack was released I listened to it over and over again. At the same time I ran The Swedish James Bond Fan Club and read everything I could about Pierce Brosnan. And one night it suddenly appeared to me, something that I have never heard anywhere else. When Bono and The Edge (of U2) wrote GoldenEye for Tina Turner to preform, they must have had Brosnan's life in reference. Below is the lyrics in black and my comments in red. Brosnan says that the first film he ever saw at the cinema was Goldfinger back in 1964 when he moved to London. Brosnan was offered the part in 1986 but had to turn it down due to Remington Steele. Brosnan's wife, actress Casandra Harris who acted in For your Eyes Only died of Cancer. Brosnan gets his second chance at Bond with GoldenEye. Every time I listen to this song I get the feeling its all about Brosnan getting his second chance at playing Bond and this time he will make the role his! Far fetched? I myself do not think so. How about you? Listen to the track below and hear the emphases and let me then know what you think in the comments below. If you do not think I am right please mention what you believe the lyrics are referring to. The above drawing was made by artist Jeffrey Marshall. Your chance to ask Steve Cole anything you want!